Totesport (the Tote), established in 1929, is a renowned Wigan-based fourth largest bookmaker in Britain with more than 4000 employees. Apart from the relatively fresh online betting and gaming service, launched in 2002, the Tote is primarily a recognized owner of 60 shops at British race courses, and about 450 high street betting outlets. Overall, Tote betting is accepted in over 7,000 British betting shops. Additionaly, the Tote has 280-seat call centre for telephone betting. In 1928, the Totesport bookmaker was authorized by the English Parliament for the purpose of horse racing pools. It became a state-controlled and safe alternative to illegal off course horse racing bookmakers. In 1929, the first important race meetings with Tote betting were held – the flat race meetings at Newmarket and Carlisle. In 1930, a group of gentlemen established Tote Investors Ltd, an independent company which handled off-course credit tote bets. In 1956, the Tote sponsored its first race – Tote Investors Cup in Kempton. In 1972, the Tote opened its first high street betting shop and was given permission to handle bets on all sports competitions. 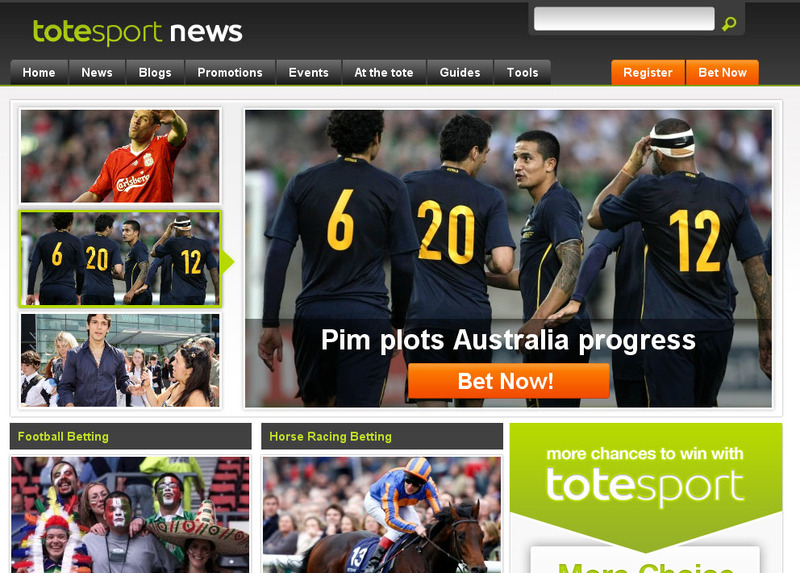 Finally, in 2002, Totesport bookmaker launched the Internet betting service. 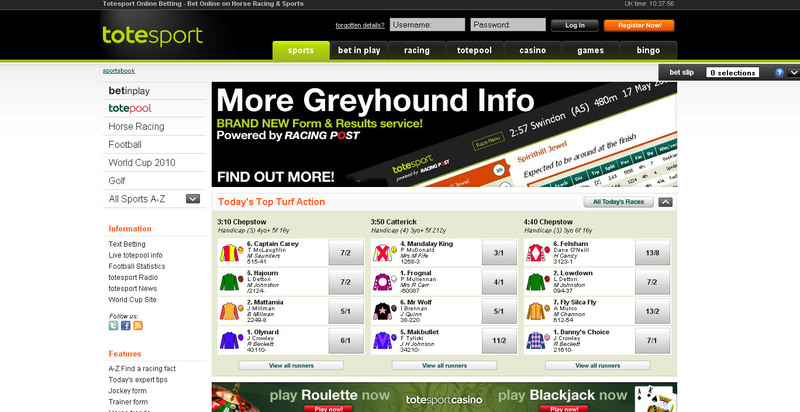 Totesport.com is divided into the following betting and gaming sections: sportsbook (standard range of disciplines with many typically British sports such as horse racing, US horse racing, football, cricket, darts, greyhounds, snooker), casino (more than 60 games), instant games (more than 80 games including slots, arcade, numbers, scratchcards, keno, tv and classics), nicely-organized text betting and bingo. The English bookmaker claims to be 'toteally into racing,' and states that the brand Totesport has become synonymous with horseracing. Tote's proud declaration appears to be well-grounded as it is the only bookmaker in the UK which is allowed to offer horse racing parimutuel bettings (pool betting) in which payoff odds are calculated by sharing the pool among all winning bets. The Tote offers a range of unique horse racing bet types, which constitute an alternative to the now ubiquitous fixed odds betting: totewin, toteplace, toteeachway, totescoop6, toteplacepot (possible to win without backing a winner), totejackpot, totequadpot, toteexacta, totetrifecta. Thanks to his stand-out offer, horseracing represents now more than 60% of the bookmaker's turnover. Mindful of horse racing bettors, Totesport.com additionaly offers very good, live totesport radio broadcasting all major horse and greyhound racing events. Totesport bookmaker is the number one supporter of British racing in terms of donations and sponsorship. In 2009, it sposnored as many as 495 races at 56 UK courses, contributing £3.3 million, that is more than 30%, of the total prize money . The Tote has a heritage of continuous support of many big races such as Totesport Ebor or the Totesport Cheltenham Gold Cup, not forgeting about smaller races as well. The bookmaker donates funds to the Injured Jockeys Fund, Racing Welfare plus lots of racing horses rehabilitation centres. Additionally, participating in the Racehorse Owners Association sponsorship scheme, the company is a sponsor of more than 570 owners and partnerships. Totesport is also the sponsor of Channel 4 racing. The English company has also signed sponsorship deals with Premier League football club Hull City AFC, and with Wigan Warriors Rugby League Football Club. Totesport is also a partial sponsor of Twenty20 Cricket in England. Max winning Depends on the discipline. The max win per day is £500,000. For the accounts in EUR the same numerical values apply.